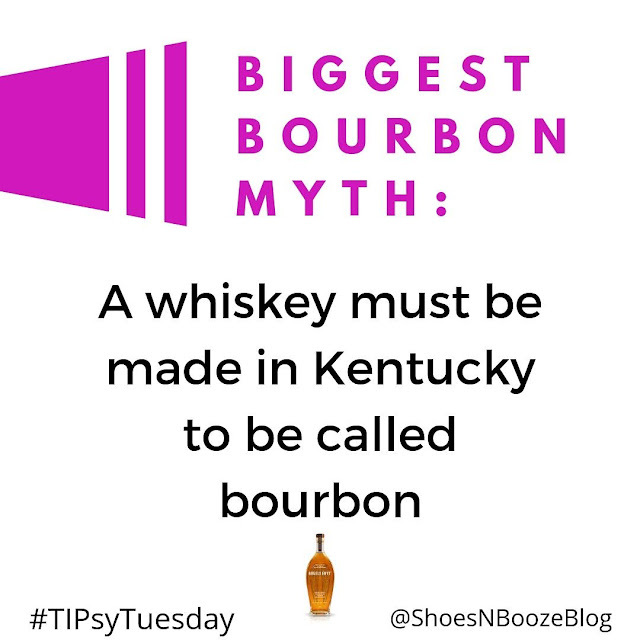 According to Becca, "while 99% of bourbon is made in Kentucky- legally, it just has to be American. Angel’s Envy is made in Louisville, Kentucky at our new home on 500 Main St."
For a liquid to be called bourbon, it has to contain at least 51% corn. Angel’s Envy's unique blend uses 72% corn, 18% rye, and 10% malted barley. "Corn provides that nice, sweet bourbon backbone. The Rye imparts a nice cinnamon spice to it, and there’s an enzyme in malted barley that speeds up the fermentation process, so we use 10% to have a completely natural fermentation," says Becca. 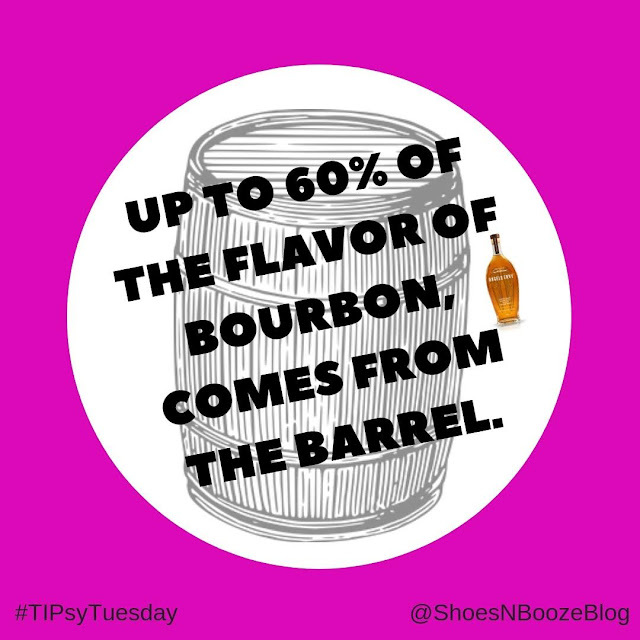 A large part of the flavor also comes from the barrels, though- up to 60%, according to various bourbon producers. A few compouds present in American oak- tannins, lignins, lactones, and vanillin- are largely responsible for the flavor notes in the bourbon we drink. 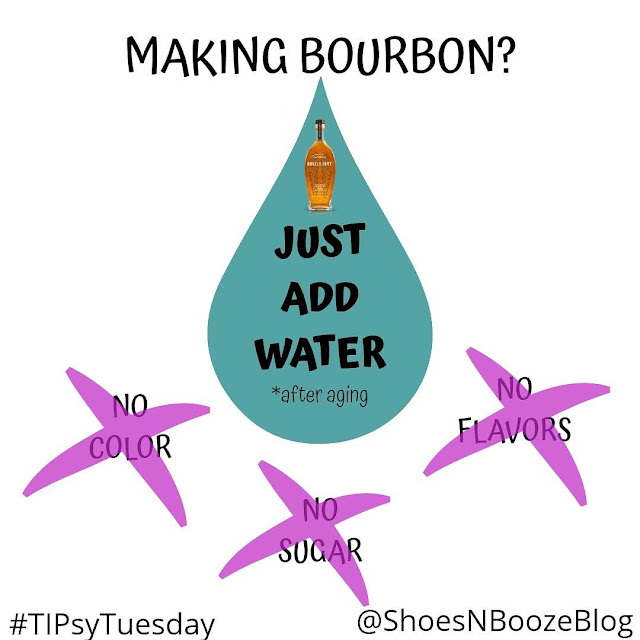 We usually hear of tannins when referencing wine, but they affect the flavor of bourbon, as well. They're also found in tea and walnuts, and they slowly seep into the spirit as it ages, imparting a dry, spicy flavor. American oak is lighter in tannins than European oak, so it gives bourbon a softer, less astringent mouthfeel. Lignins help the spirit to absorb vanillin, which gives the whiskey a vanilla, or marzipan flavor. American wood is higher in lactones, so this will give a buttery and creamy mouthfeel, as well as notes of toasted coconut. Bourbon is aged in charred new american oak. 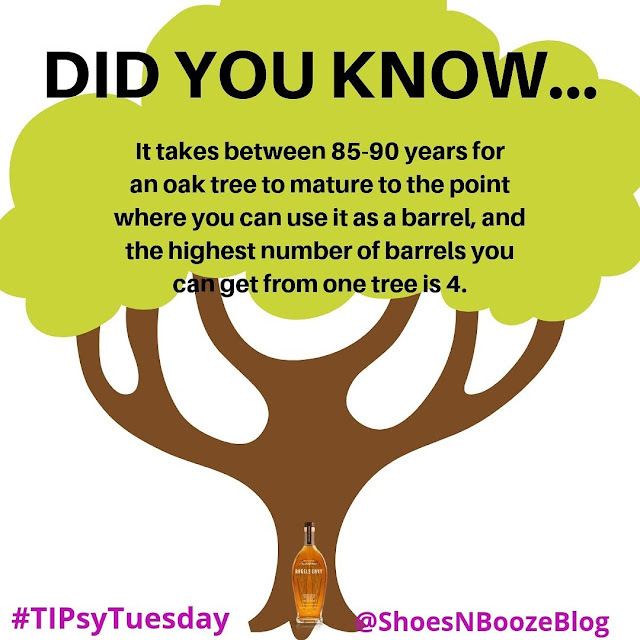 It takes between 85-90 years for an oak tree to mature to the point where you can use it as a barrel, and you can only get up to four barrels from one tree. The char on the inside of the barrels gets rid of impurities, and helps the cooper to be able to shape the barrel. Number 3 and 4 char are the most commonly used levels for bourbon producers. At this level of char, the wood sugars caramelize at the surface of the barrel and are in constant contact with the whiskey through the aging process. Clearly, oak trees are integral to the bourbon industry, so Angel's Envy is doing its part to help replace the wood it uses. 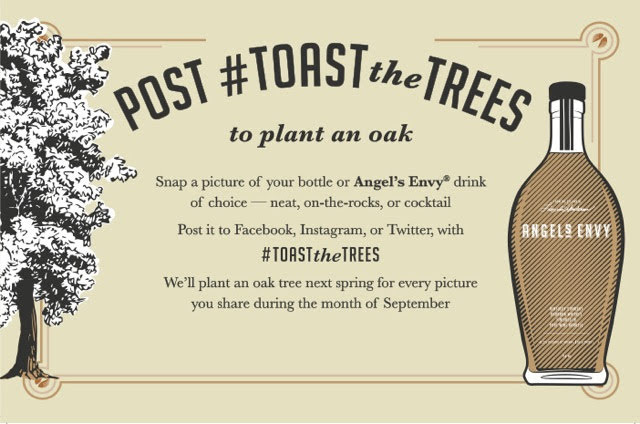 Every September, Angel’s Envy teams up with the Arbor Day Foundation for Toast the Trees. For every picture taken of an Angel’s Envy bottle, cocktail, on the rocks, neat pour, (etc. ), that is posted online with the hashtag #ToastTheTrees, they will plant an oak tree the following spring in Daniel Boone National Forest. In 2017, they planted 12,030 trees, which was the first year they planted more trees than they used. This year they’re going for 20,000 trees. Now you know why there's a little picture of an Angel's Envy bottle in each of our posted images! Also, now you know why you should (responsibly) drink and post lots of Angel's Envy this weekend. Oh! Be on the lookout for their newly released 2018 Cask Strength Bourbon Finished in Port Barrels. We got to taste the limited-edition liquid earlier this week at an intimate event in New York, and it's pretty tasty. The port barrel finish gives it notes of cherries and raisins, which will be delightful as the temperatures cool. It's also incredibly smooth for 124 proof. 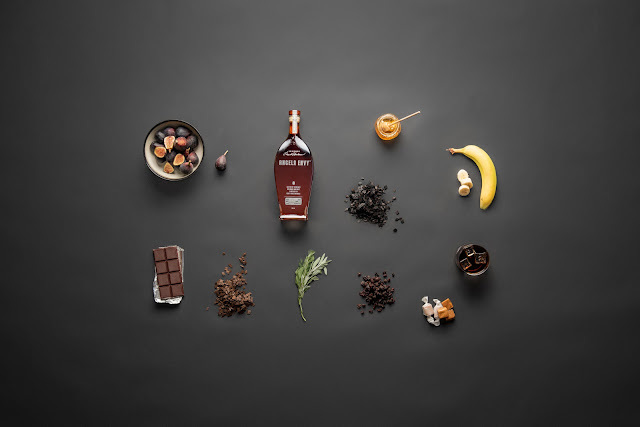 Only 12,000 bottles will be sold in select markets, and it retails for around $199.